Well, he certainly made it that – if you’ve not yet seen, or heard Songs of a Lifetime, it is a tremendously well done overview of the musical journey of Greg Lake. He covers his life from an early adoration of Elvis and The Beatles to the high flying private jet days of ELP to what he considers the necessity of reconnecting with his fans in a return to the ‘shared music’ experience, and he’s done it in an extremely entertaining and emotional package. I wasn’t sure what to expect from my time with Greg, but whatever I hoped for was greatly exceeded by the man’s generous and charming demeanor. We managed to keep the ball afloat for over an hour, and ended with an agreement to get together soon for more talk, and a glass of wine – this conversation definitely primed my desire to read his soon to be published autobiography, which he expects will be out by summer’s end. What you’ll find here is that Greg Lake is a great storyteller. Greg Lake: “No idea, no….no I didn’t. Good lord. Very sad, very sad. Thank you for letting me know – I wasn’t close to him as a friend, but obviously he was there as I was growing up, and a big part of the rock scene in England during my formative years. For the rest of the interview, please visit the Rock Guitar Daily website! 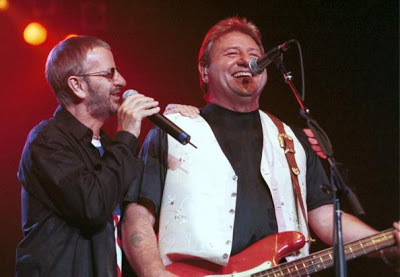 This entry was posted on Tuesday, March 19th, 2013 at 00:00	and posted in Greg Lake, Interview. You can follow any responses to this entry through the RSS 2.0 feed.